Project 500: More Women, Better Coaching win Transforming Coaching through Technology category at UK Coaching Awards. 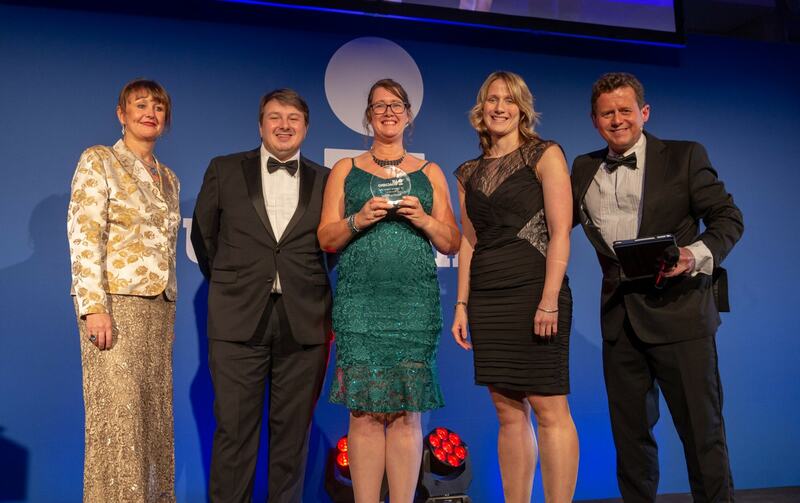 Project 500: More Women, Better Coaching has been named the inaugural winner in the Transforming Coaching through Technology category at the UK Coaching Awards. The showpiece annual event, which is seen as one of the most prestigious by the coaching community, took place at The Honourable Artillery Company, London on Thursday 29 November 2018. Project 500 is a regional project developed by the seven County Sports Partnerships in the South East of England. Aimed at addressing the inequality in the number of male to female coaches the collaborative initiative started as a pilot in 2013 and has recruited, developed and/or retained more than 500 coaches across the South East of England. In the last 12 months, attention has turned to providing online support to women in coaching via the Project 500 facebook and twitter accounts. Project 500 has used its social media presence effectively to share inspiring case studies, informative articles, top tips and coach learning opportunities in the south east and further afield. This is making a huge difference to the experience of women who are coaching, reaching out to those who may feel isolate in their communities and developing coaches in a way that fits around their work and family life. The initiative has been managed by the seven County Sports partnerships and utilised the expertise of a social media manager. Louisa Arnold on behalf of the CSPs said “investing in expertise to develop an online offer that is supportive, inspiring and celebratory in nature has definitely engaged our female coaching audience. We are delighted that the project has been recognised with this new award and look forward to growing the variety of support for female coaches in the future”.